I love museums, obviously. But not all artworks are found inside museums and galleries. Some of the most interesting ones are found outside it. Such accidents could be really quite fun. 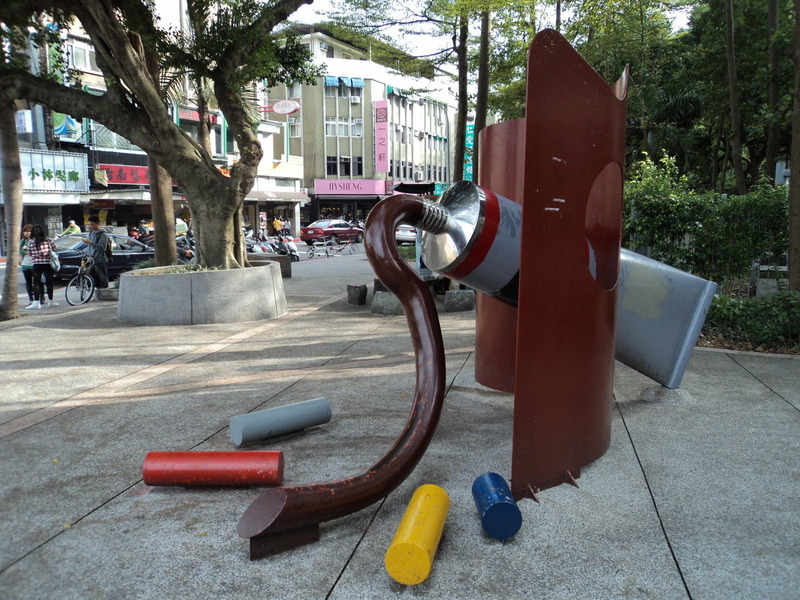 This tube of paint installation is something that can be found near the Shida night market. We ran into this on the very first day. I felt like a child again, admiring this piece. 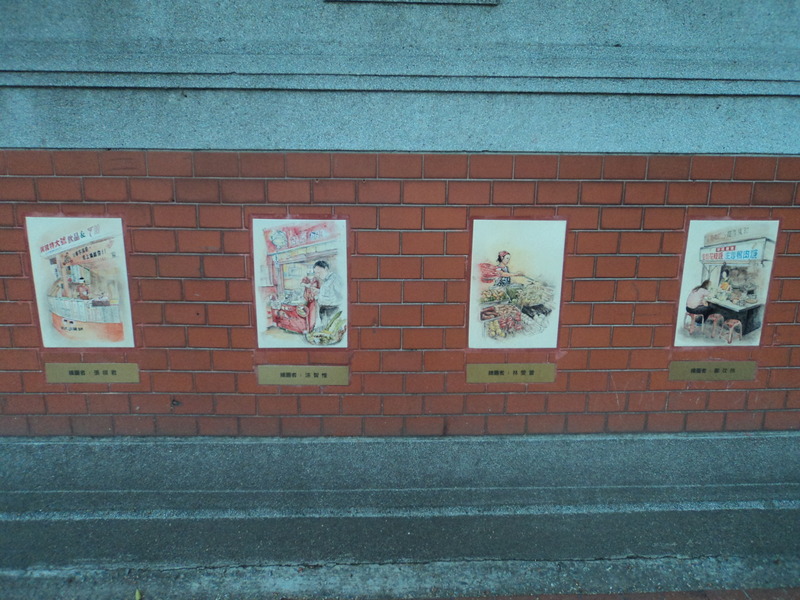 Outside the National Taiwan Normal University is a line-up of painted tiles. 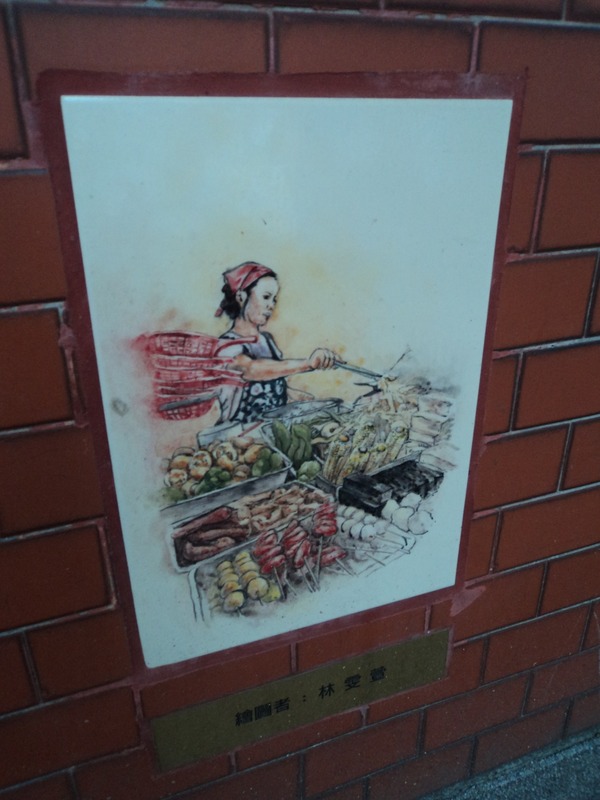 Looking closely, it is of street vendors selling street food! Very suited as it is in the Shida district. This could make you hungry of a quick fried snack, similar to what we have at home. I particularly like this one as it appears like he is selling bread. 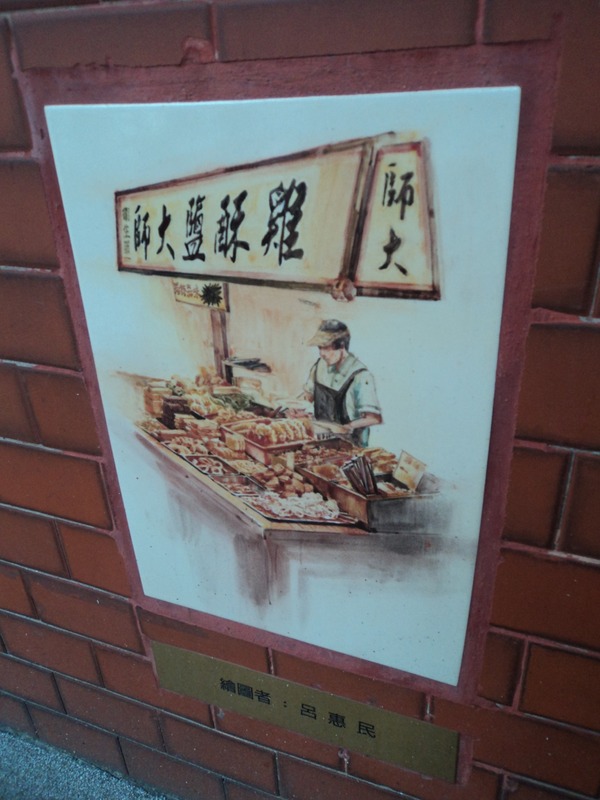 I have come to discover that Taipei has the best breads and pastries. There are shops everywhere with the yummiest window displays! Something that I totally did not expect when traveling to this country. I even liked this window display. I want to tell the bear, “Yes, I feel lost Sir. 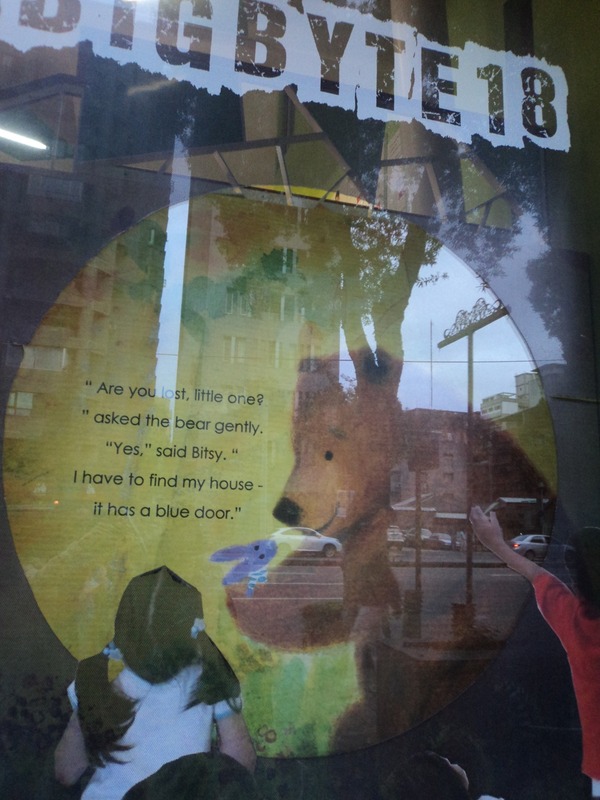 Can you help me?” It reminds me of this kid’s show that I adored, Bear in the Big Blue House. If I get to own a house, I would also want it to have a blue door. Think this was the only night market where we ate so many different types of food & drinks! I think Shilin Night Market is a nice place to sample the various types of Taiwanese street food, but if you wanna shop to your heart’s content here, you will probably end up disappointed. I didn’t buy anything at all except filling up my stomach. A fruitful night for my stomach! 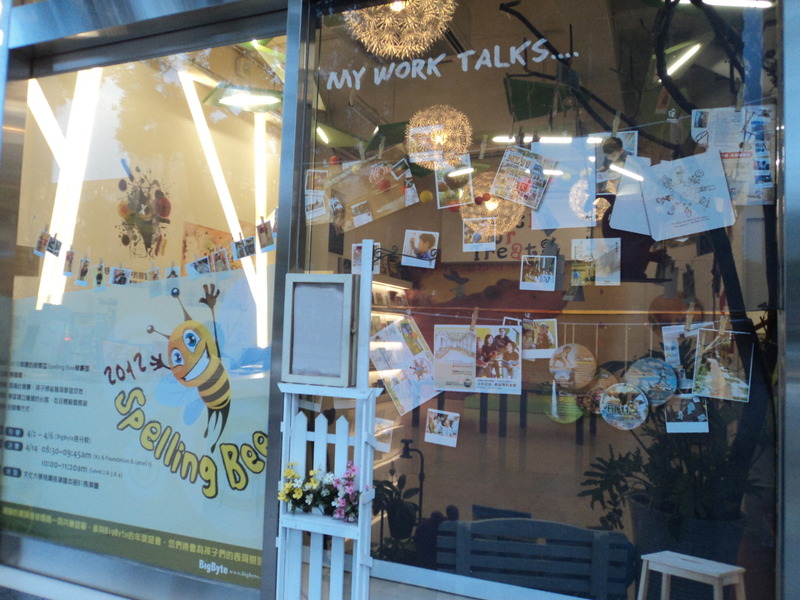 This entry was posted on January 26, 2013 by Portia Placino in Museum and Galleries, Travel Writing and tagged art, installation, National Taiwan Normal University, Shida Night Market, Street Art, Taipei, Travel, Window Display.